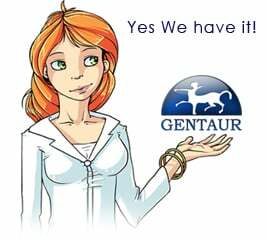 Gentaur antibody-antibodies.com The Marketplace for Antibodies : RNase E, an endoribonuclease, has a general role in the chemical decay of Escherichia coli mRNA: evidence that rne and ams are the same genetic locus. RNase E, an endoribonuclease, has a general role in the chemical decay of Escherichia coli mRNA: evidence that rne and ams are the same genetic locus. Escherichia coli RNase E is known to process RNA precursors at specific sites. We show that this endoribonuclease has a general role in E. coli mRNA turnover and affects the stability of specific transcripts. The effect of the rne mutation on functional stability of mRNA was much less pronounced than that on chemical stability, although the expression of some genes was affected. The E. coli ams (altered mRNA stability) mutation was found to have phenotypes indistinguishable from those of the rne mutation, affecting both 9S RNA and T4 gene 32 mRNA processing. The rne and ams mutations were both complemented by the same 3.7 kb fragment of E. coli DNA and are probably allelic. RNase E is the first endoribonuclease identified as having a general role in the chemical decay of E. coli mRNA.